Andy Burch, band director at Edgemont Junior High, has received the honor of being inducted into the Class of 2016 Washington Music Educators Association (WMEA) Hall of Fame. Burch will have his name engraved on a music stand and added to the hall of other honored music educators before him. In order to be qualified for a WMEA Hall of Fame nomination multiple people from the WMEA write letters explaining the excellence of the music educator and added to the Hall of Fame. Then a selection committee from WMEA reviews the nominees to select who will be inducted into the Hall of Fame. Every two years there are 10 educators inducted into the hall of fame. 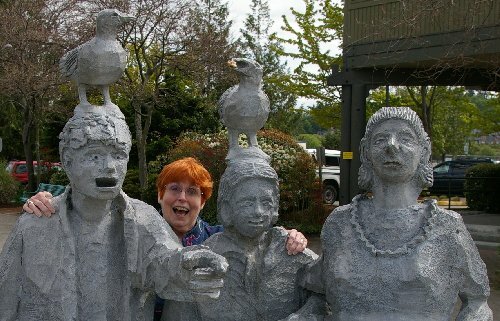 Peg and I have been attended concerts led by Andy Burch for years. Granddaughter Bailee Doman and currently Riley Doman have been taught by Mr. Burch. We've always been entertained and marvel at the level of professionalism of his students. "This is an honor to be nominated and then selected to be in the WMEA Hall of Fame. There are so many great music educators out there, and I am so humbled to be one of them," stated Burch. Mr. Burch is always ready to share the glory and the accolades, but never to hog them. Here is what he had to say about a fellow band director, Bob Rink, in a form he submitted for Rink in 2012. 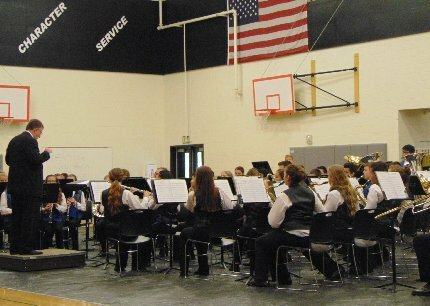 "I believe you cannot find a better band teacher in the state of Washington than Bob Rink," said Andy Burch, Edgemont Junior High band director and one who nominated Rink for the award. "He is a well-respected teacher, highly sought after clinician, and all-around great person." Rink was recognized in 2012 for the award. Mr. Burch attributes his students' success to a lot of hard work, dedication, and the wonderful teachers who worked with them before they reach junior high. 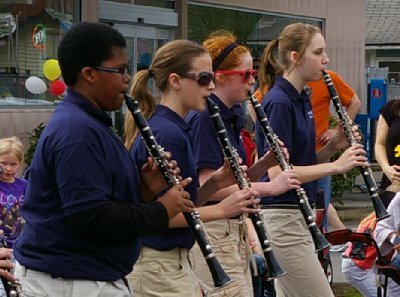 "The general music teachers in our elementary schools really make a big difference." Creating an environment where students can have sincere and professional interactions with teachers also goes a long way. "Each student comes in wanting to belong and feel cared for, and I make sure that each of those students feel they belong and are genuinely cared for in this class," explained Burch. 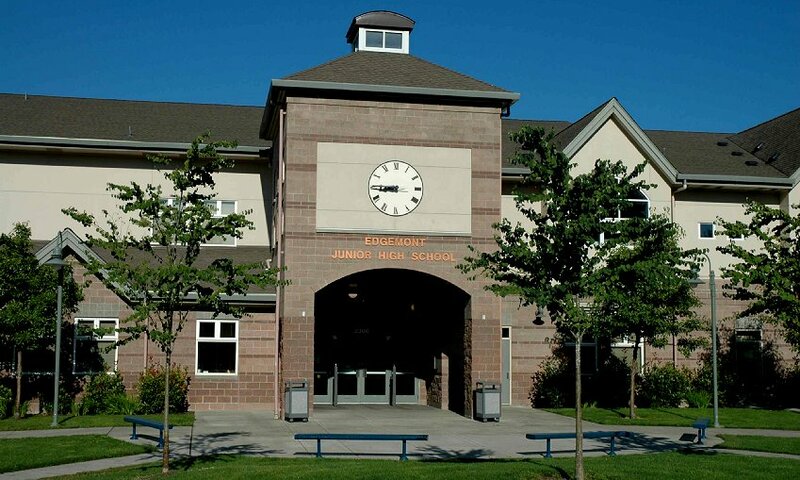 Burch has worked in the Puyallup School District for over 27 years. His passion for teaching and music are what keep him going. His passion is evident in the genuine and professional relationships Burch gains with his students. 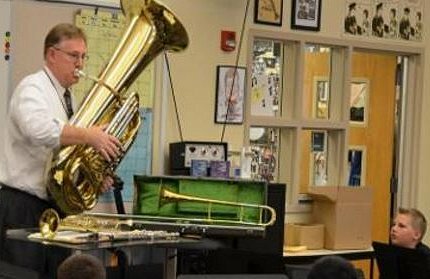 Mr. Burch strives to teach his students about music, but also teach them life-long lessons. Learning to play the notes on the page is just the start to learning music. It also includes earning to listen to everyone else as they play, and to know what their part sounds like and how they fit in. Learning to listen helps bring a sense of responsibility, not just for notes they are playing, but to learn how to be responsible as a group in the way they interact with others and keep in step with each other. "Teaching the students to listen to one another teaches them about more than just music," Burch said. "Listening is something they will have to do for the rest of their lives, whether it's in a career, education, or in a relationship. Learning to play their notes is just the beginning, learning to listen to everyone else while they play is really what it's all about." At the end of each concert, Mr. Burch makes a plea for the parents to take their child out for an ice cream cone as a reward for their hard work. The parents and their children, the community, and the staff at Edgemont Junior High are all lucky to have Andy Burch involved in education. Andy Burch Band Director, Andy Burch Band Director Puyallup, Andy Burch Band Director Edgemont Junior High School, Andy Burch Band Director Edgewood, Edgewood Washington, Andy Burch Band Director - Puyallup WA Washington.